Annual Information, Resources, Services and Supports Expo. 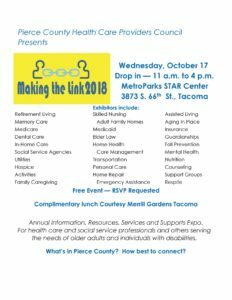 for health care and social service professionals and others serving the needs of older adults and individuals with disabilities. For all information regarding ticket Registration, Pricing, Schedule, and Participant Instructions, please visit HERE. ← Getting Real About Earthquakes: Will This be our Hurricane Harvey?